A fully buoyed five lane course was utilized for this event. The weather was warm but subject to stong winds. Despite a Victorian attempt to unsettle the favoured NSW crew by a very fast start, the NSW crew managed to lead through the first 500 metres and thereafter. The final was a stirring race between Reddell and Hale. Reddell led all the way but faltered badly near the finish allowing Hale to win. The Victorians stormed off the line getting a half length in the first 250 metres and their lead was never in any doubt. Tasmania led all the way. 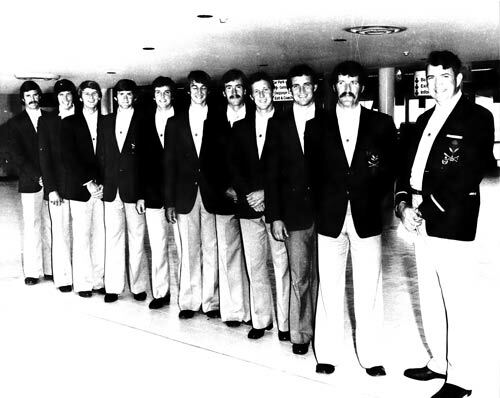 The winning Mosman crew was allowed by NSW to race but was not a representative NSW crew. 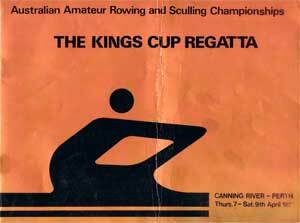 It comprised rowers combining to better enhance the chances of Australia in international competition. They won convincingly. Patterson lead to 800 metres but was passed by both Sydney scullers over the last 200 metres in a dash for the line. A narrow victory was achieved by the Artemis Rowing Club crew from Victoria.